Looking for something different & filling breakfast for this morning ? 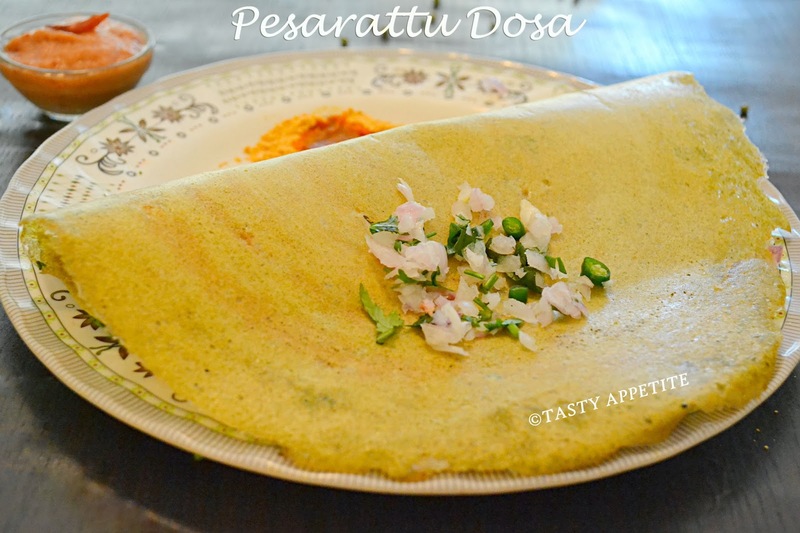 Try out this tasty and healthy Pesarattu Dosa recipe. 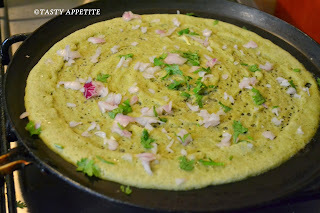 This is a signature breakfast dish of Andhra cuisine. 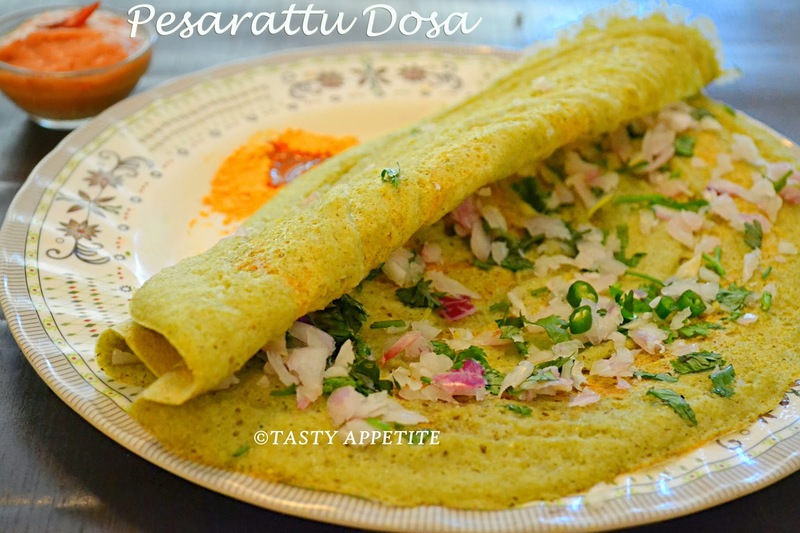 This pesarattu is also known as moong dal chilly dosa. 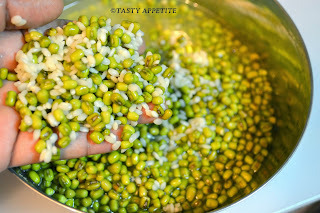 It is not only easy to prepare but also very nutritious. 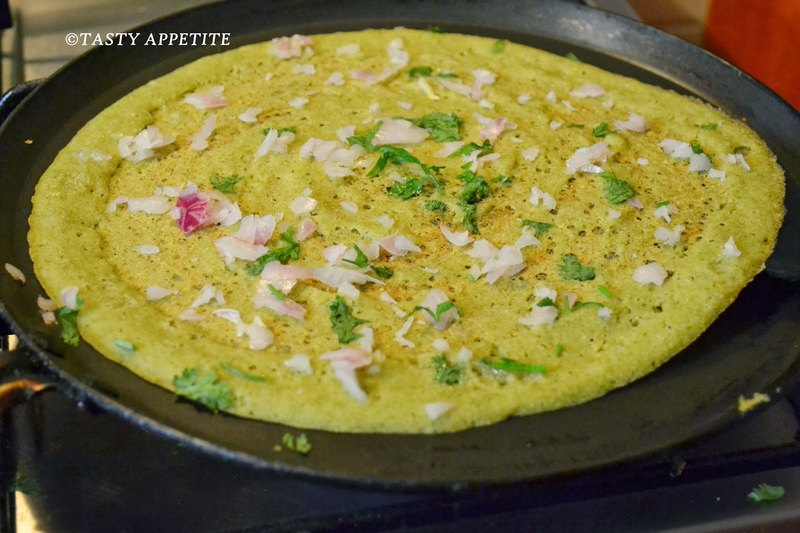 It is prepared with green moong dal which is very rich in protein. You can prepare this dosa thick like adai or thin & crispy as per your liking. This tastes awesome spiked up with ginger, cumin, onion and green chilly flavors. Start your day with this whole some and filling dosa and enjoy..! 1. Wash and soak moong dal ( paasi payaru / green gram ) and rice overnight. 2. Drain the water and add it to the blender. 4. 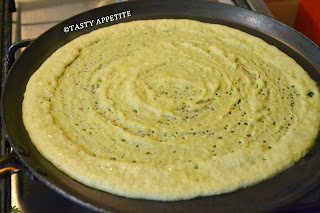 The batter consisitency should be similar to that of dosa batter consistency. 5. Mix salt and keep aside. 6. 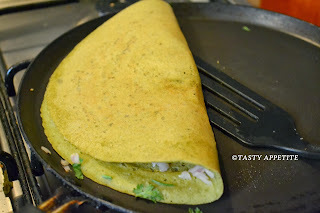 Meanwhile finely chop onion, green chilly and coriander leaves. 7. Now heat a dosa girdle / tawa. 8. 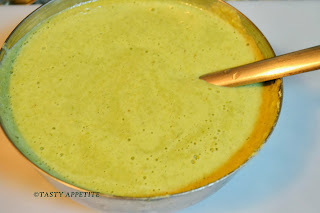 Pour 1 ladle full of batter and spread in circular motion to make like dosa. 9. Sprinkle the chopped onion, green chilly and coriander leaves. 10. 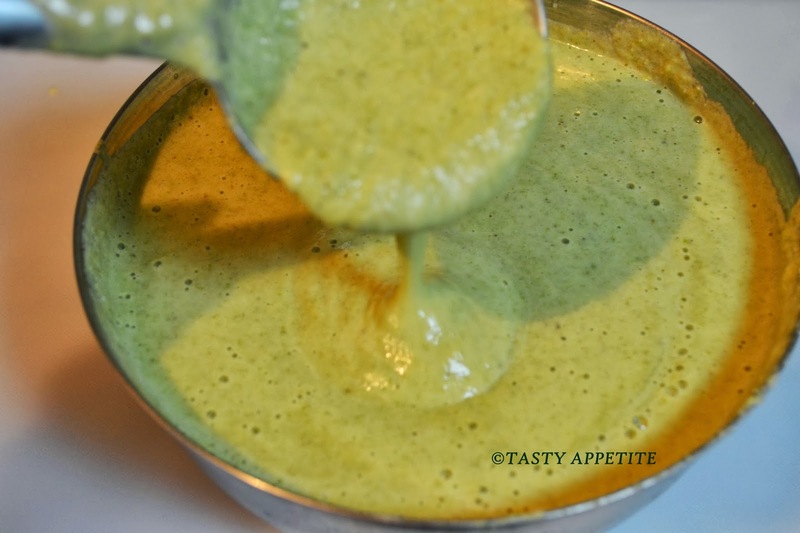 Pour oil or ghee over edges, cover and cook for 1 to 2 mins in low medium flame. 11. Remove cover and check the dosa is cooked to crisp and golden. 12. Fold and serve hot. Spicy and tasty Pesarattu Dosa is ready..! 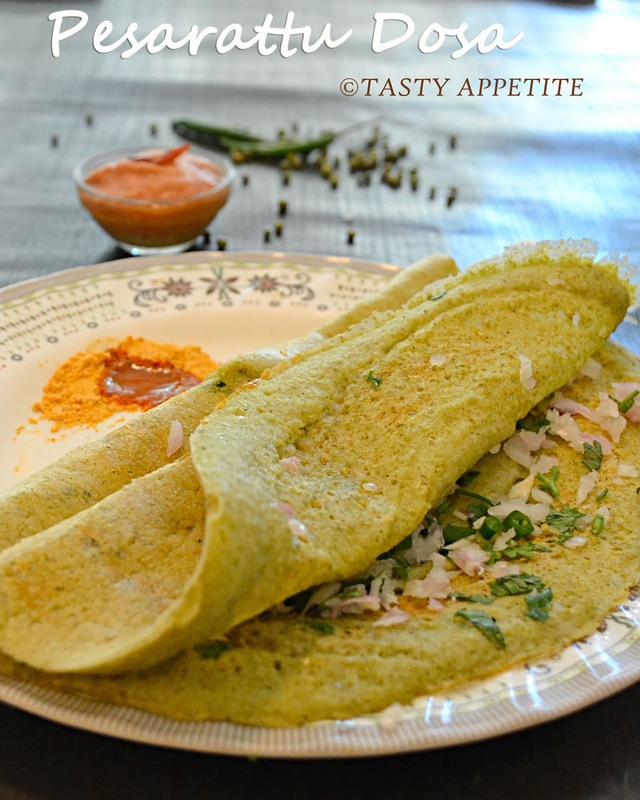 It makes a lipsmacking combo with kara chutney ( will share the recipe of kara chutney recipe in next post ) idly podi or with any chutney of your choice. 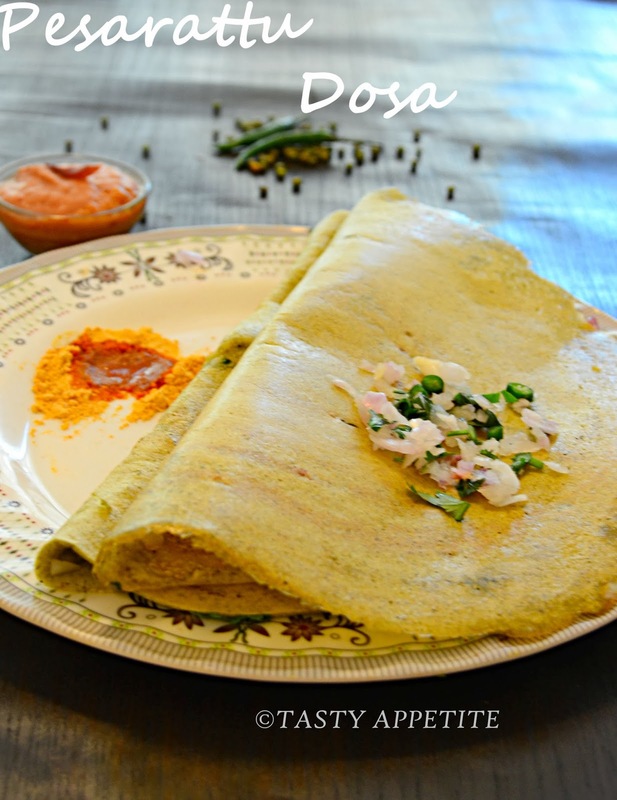 Very nutritious and yummy dosa. 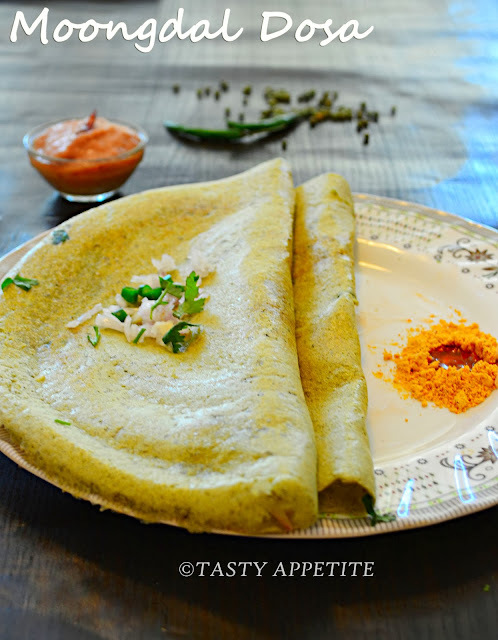 Can't ask for more..Flavorful protein-rich dosas jay. thats definetly a healthy dosa.. looks too good.. These ones look healthier and more convenient. 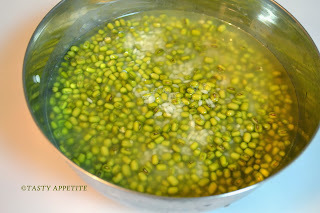 We do not need to keep it for fermentation?